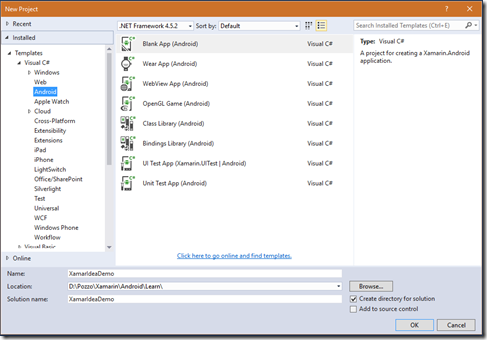 UWP applications are compiled using .NET Native compiler as detailed here. 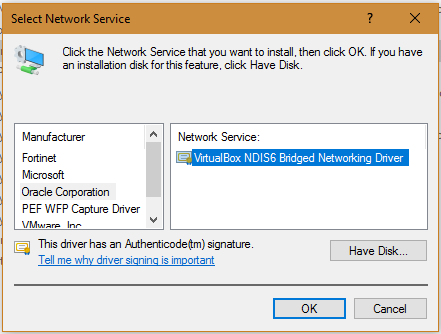 -You can continue to use the comprehensive and consistent programming model available with .NET– with extensive APIs to write business logic, built-in memory management, and exception handling. but this is absolutely tedious and repetitive, so we can simplify it using a good old C# trip based on coupling using keyword and IDisposable. 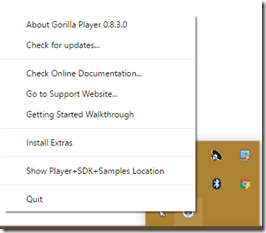 Much more easier and readable since all you have to do is essentially to write your code inside using block, if you paired this with a Visual Studio code snippet that generates initial code skeleton implementation becomes nearly invisible. 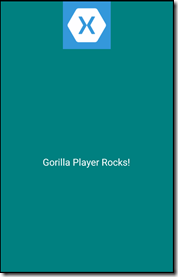 I am a Xamarin MVP! 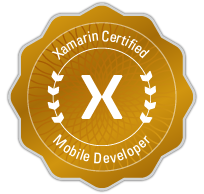 I am pleased to announce that I’ve been awarded Xamarin MVP, and this makes me extremely proud and happy, being the first Italian in this close group of internationally known Xamarin experts, give me a high level of responsibility and I’ll do my best continuing sharing my technology passion. 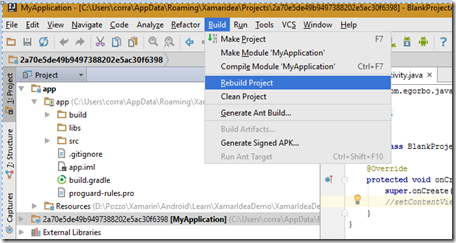 If you haven’t tried Xamarin yet, I encourage you to do it, a lot changed since 2014 when I started approaching it (no Forms yet…) it is now a mature product and if you’re eager to learn more Xamarin University is here to help. 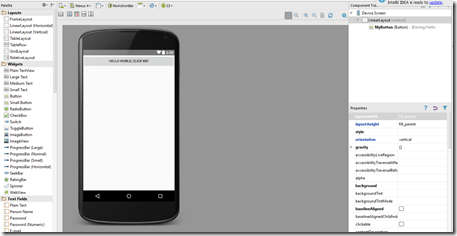 RecyclerView is the recommended way to represents a collection of items in Android applications, the good and old ListView is now deprecated since RecyclerView offers a lot of improvements like flexible layout, item recyclying and enforces the ViewHolder pattern. 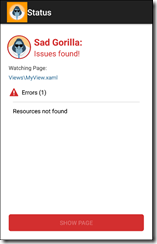 If you’re new to RecyclerView in Xamarin Android I recommend this article from Xamarin site, since it is also the origin project I’ve used on this post and this is not a RecyclerView tutorial. This post originates since every time I need to use a RecyclerView, even for simple demos like this blog post, I end up rewriting the same boilerplate code, so I decided to create a simple generic adapter that simplifies things for me. 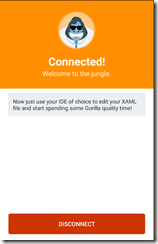 Source code and demo is available on GitHub here, so get it and have a look if you want to know more about the internals, I’ll just show you how to use it updaing the original Xamarin demo. 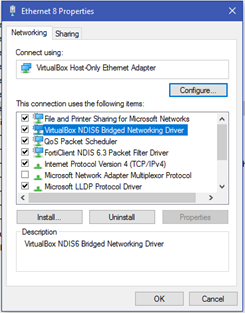 OnUpdateView is used to update the same view items with the fresh values coming from provided Item. Since we’re using an ObservableCollection<T> the list is smart enough to automatically invoke the several NotifyXYZ methods when you add/remove/move items from the collection as when the “Clear+Add” button of the demo is clicked. 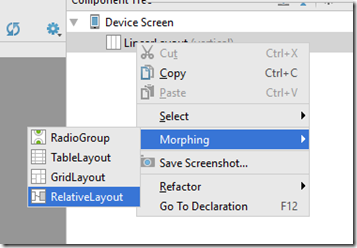 What if you need to use different layouts depending on items properties? just override base class GetViewIdForType method and return an int that will be passed to the othere method you’ll have to override named OnGetViewId inside this method, depending on passed viewTypeId you’ll return the item id to inflate for such element. 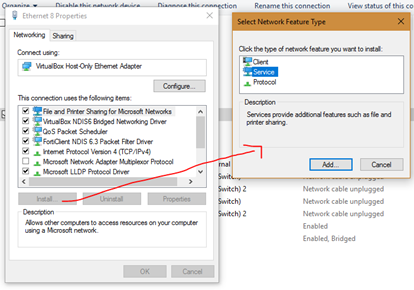 The adapter automatically raises an ItemSelected event when an item is clicked, passing null as RecyclerView parameter on PhotoRecyclerAdapter constructor, disables this behavior and you can implement your own item selection strategy. It’s just a starting point, hope you’ll like it. My main phone is an Android and as a news app I use a 3rd party aggregator that, al nearly all Android apps today is based on Material Design. 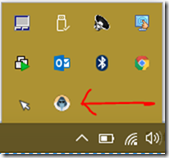 Using it everyday I couldn’t ignore a nice UI feature it exposes: it’s share button (a Material Design’s FloatinActionButton) fades out when you scroll the list vertically and it reappears when you scroll the list down. 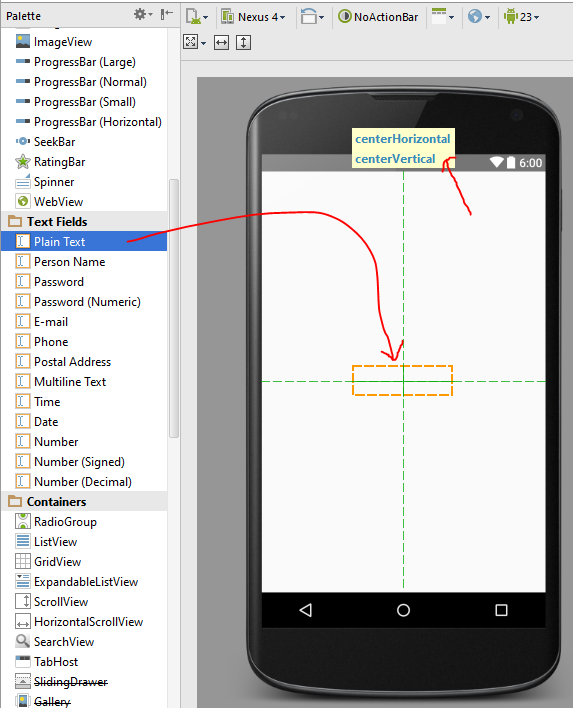 Being curious, I wanted to know how to create that effect using Xamarin.Android. 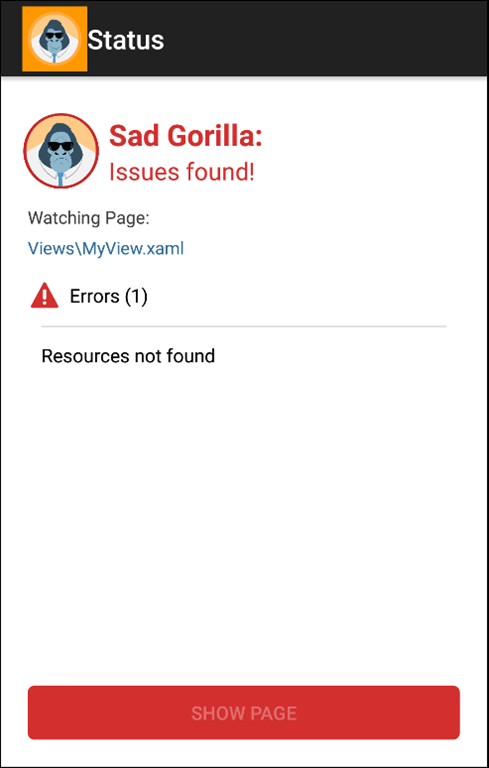 I’m assuming you have some basic knowledge of Material Design and related steps to enable it into a Xamarin.Android app so and I’ll go straight to the point: The view you see is made up of a CoordinatorLayout that hosts a NestedScrollView that contains a series of CardViews and in the bottom right corner there is our FloatingActionButton. The trick of making it disappear is to add a custom behavior so that CoordinatorLayout knows that it has to invoke a behavior that takes care to hide/show it when something happen, in our case when user scrolls up or down. 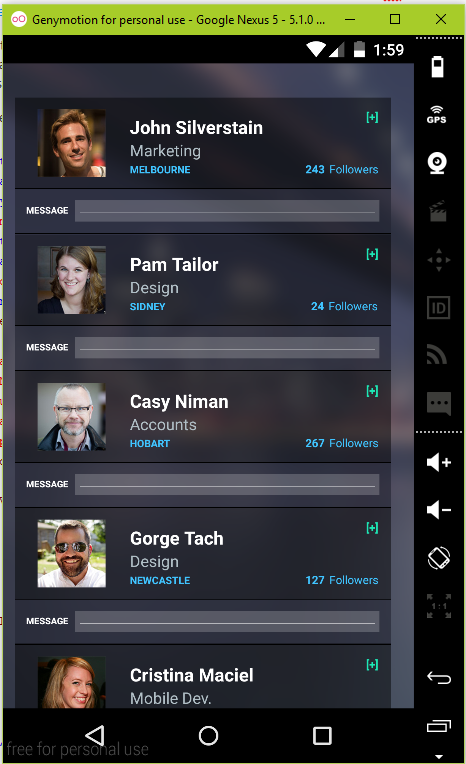 Inside OnNestedStartScroll we inform the CoordinatorLayout that we want to receive scroll events when user scrolls vertically while inside OnNestedScroll we receive a reference to the FloatingActionButton (since we have applied the behavior to it) and depending on scroll direction we show/hide it. The hard part of migrating this code to Xamarin was fixing the weird compilation issues I was having, I thank community guy fex for giving me the hint to add the [Register] attribute at the top to the class definition and inheriting from CoordinatorLayout instead of my initial FloatingAction. No idea if this is a bug, I’ve seen someone already filed it on Bugzilla but still without any reply. 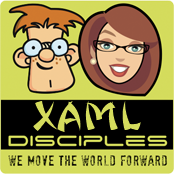 Is now time to associate out behavior to the FloatinActionButton, I’ll do that using the standard approach to define the fully qualified path to the class inside strings.xml for better refactoring. If you use material design in your appls you’ll immediately recognize the now stanrdard elements, the only real new is the layout_behavior attribute applied to the FloatingActionButton that points to our custom behavior. 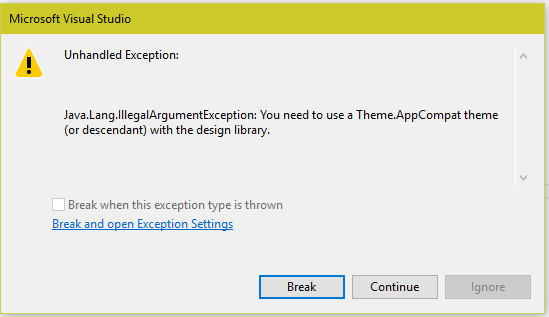 There are indeed simpler alternatives like James Montemagno component available here but looks like it is now deprecated and I think that, once you know how to fix the ACW compilation issues, knowing how to use material design behaviors wont hurt. Version 2.1 of Xamarin Forms introduced Effects, a nice alternative to custom renderers when all you need is to tweak some properties of the platform native control, they should be seen as an alternative to a custom renderer not as a substitute. 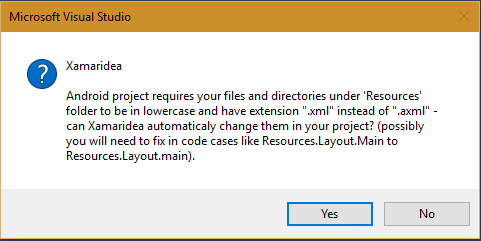 It’s time to apply our Effect (or as I prefer ‘extension’) to a Xamain Forms Entry, in my project I’ve added a MainView.xaml page and this is related XAML. Quite easy to understand: We added our custom MyEntryEffect effect to Entry’s Effects collection and set it’s MaxLength property to 5. Is now time to switch to platform specific projects and implement the code that reads the value of MaxLength property and applies this limit to platform specific control. 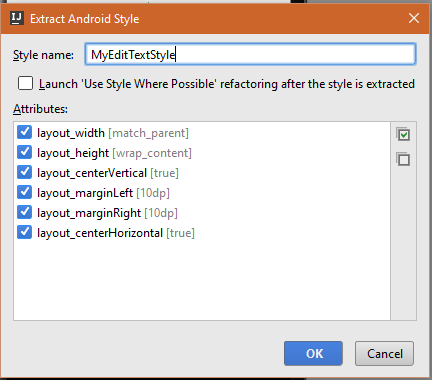 Inside the Android project I have created an EntryEffect class that inherits from PlatformEffect and implemented two familiar overrides: OnAttached and OnDetached. 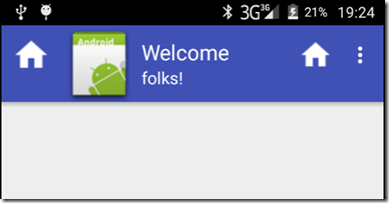 As you might expect the first is invoked when Effect is applied to the control and can be used to initialize the property of Android’s native control while OnDetached is called when the effect is removed and can be used to perform any cleanup. Container: The platform specific control used to implement the layout. 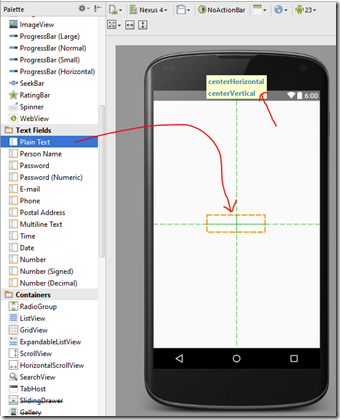 Control: The platform specific counterpart of Xamarin Forms control. 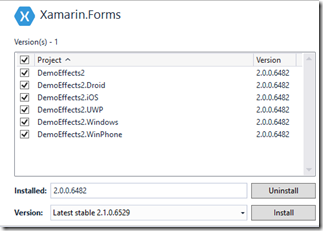 Element: The Xamarin Forms control being rendered. Since Effect can be added to Effects collection of any control the code must take this into consideration and degrade gracefully in case actions cannot be completed due to a control type mismatch. Inside OnAttached we retrieve the PCL effect so that we can read it’s MaxLenght property and we cast the Control property to a TextView, if casting fails we simply do nothing otherwise we add a filter that limits the number of typed chars inside the TextView. 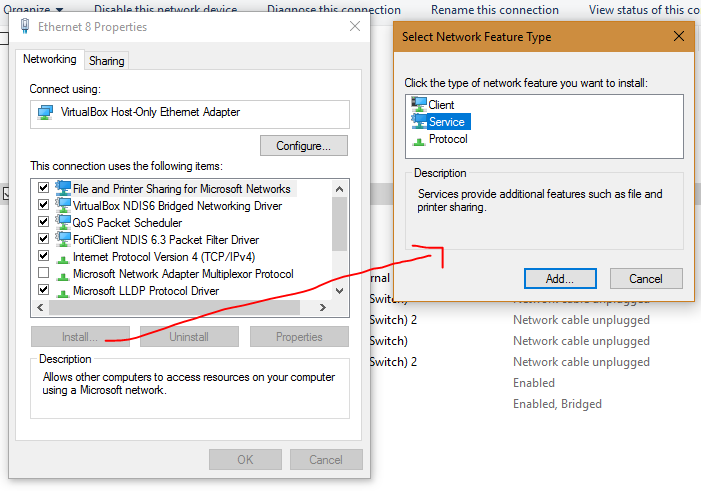 Even if not used in this sample, the code includes OnElementPropertyChanged override that can be used when you want to be notified when a property of the control changes (e.g. IsFocused) and do something when this happens. ResolutionGroupName : Allows you to define a custom namespace for you effects to prevent naming collision, it must be used once in the platform specific project. ExportEffect: Is the name that’s used by initial effects discovery process and it accepts the type of the effect it is applied to and the name you want to export for discovery. The concatenation of ResolutionGroupName and ExportEffect id is used by RoutingEffect class (see it’s base constructor in preceding code) for proper identification. As for custom renderers is not necessary to implement the effect for each class, if undefined it simply gets ignored. 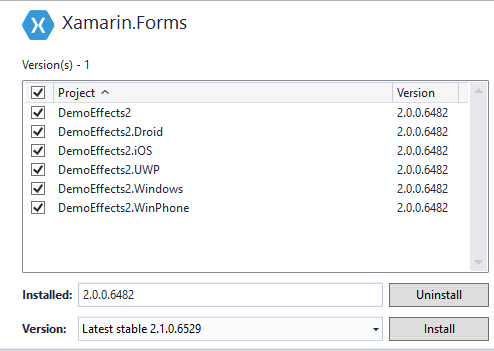 Simpler, but more flexible, Xamain Forms effects represent a valid alternative to Renderers, I’m pretty sure that we’ll see many open source effects coming from th Xamarin community. If you want to know more about Effects, this is the link to follow. Material design introduced a new lightweight way to provide feedback to a user, something that sits between the AlertDialog and Toast alternatiives with a funny name: SnackBar. 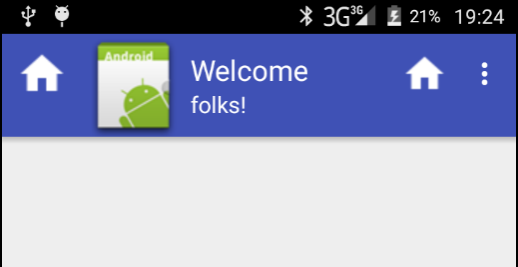 A Snackbar appears at the bottom of the view and can optionally display an additional custom button. 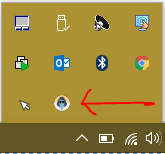 -Using the code generated by the template, lets make the SnackBar appear when the default button is pressed. -Compile the project and wait until build succeeds, be patient if operation takes more than than usual since this delay is due to the fact that the missing packages are downloading and their size is quite huge. If you stop compilation download will fail and you’ll start having a lot of “…invalid zip” error. in this case delete the zip folder mentioned on error message and try again. If you’re wondering why you need to pass a reference to a view (Button in our case) as SnackBar first parameter is because internally it walks up the visual tree so that can properly position itself at bottom position. 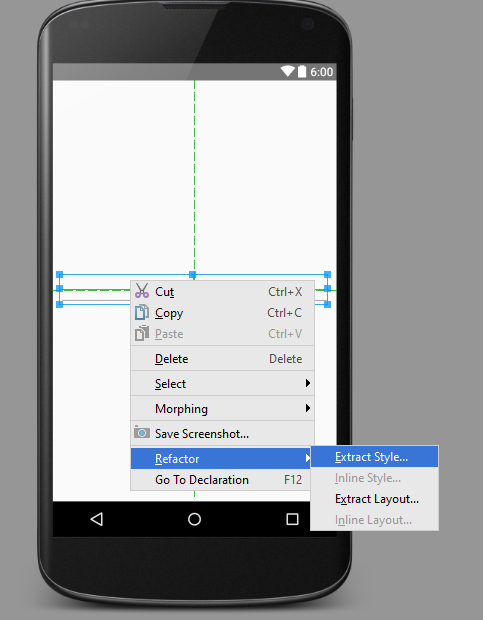 The problem: You’re using Xamarin.Android.Support.v7.AppCompat in order to have Material Design’s Toolbar available also devices running o pre-Lollipop (v.21) releases. 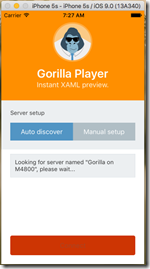 GorillaPlayer is a tool from a company named UXDivers that provides real time XAML preview on any Emulator/Simulator speeding up development process. 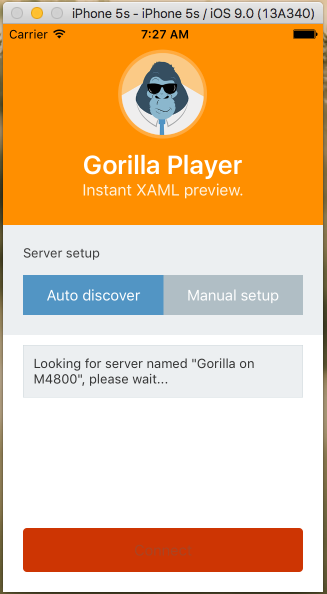 Let’s see some XAML then! 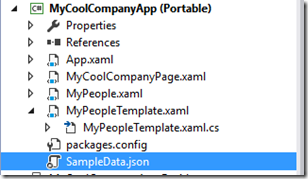 Note: using Stick to this XAML will let you freeze the rendered XAML while working on another file. But what about design time data? 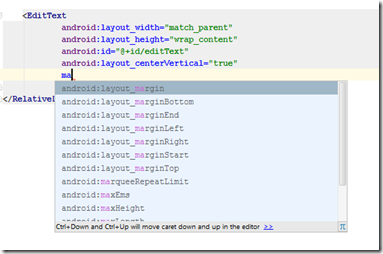 : If you have a ListView I presume you want to see how it renders at runtime right? 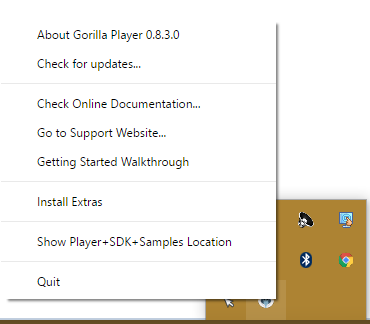 luckily Gorilla Player has a great support for design time data too, with several options (see here) probably the quickest one is to use add a json file with sample data to your project. 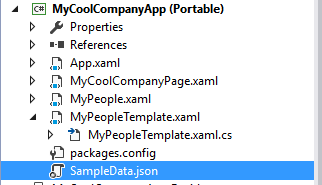 As you see, the file contains a set of sample data, in json format, that will be associated to each page (MyPeopleTemplate.xaml and MyPeople.xaml in this case) ideally simulating the same data that the associated ViewModel will provide at runtime. 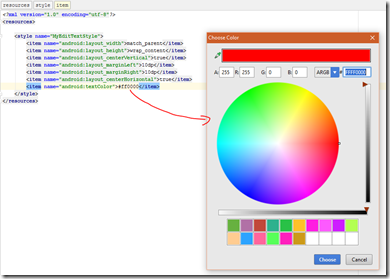 in the docs you’ll find alternative design time solutions like using a Json data class or a Plain object. While in beta, the product is already very stable and a total life saver if you do Xamarin Forms development so I encourage you to give it a try and help the team fixing all issues so that we can get an official v 1.0 soon. Issues can be filed here. 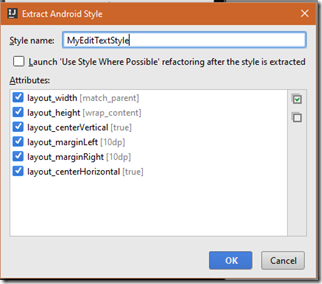 While Xamarin did a monster job integrating Android and iOS designers in both Visual Studio and Xamarin Studio as soon as your project becomes larger you’ll soon hit their limitations, that why many pro developers end up using native designers for UI design. 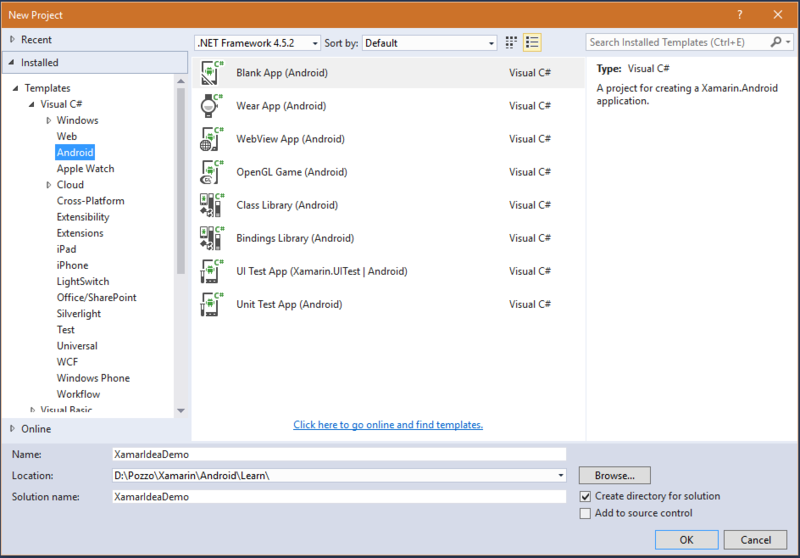 This post is about how to use IntelliJ IDEA based IDEs for Android UI design together with Visual Studio, following the same approach we use with Blend for Windows development. 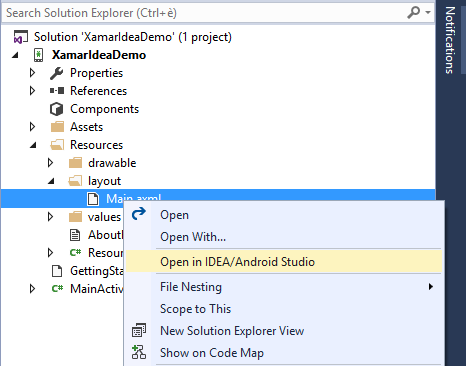 Step 2: Install XamarIdea extension for Visual Studio, this extension, recently updated for Visual Studio 2015, will make integration between the two IDEs a lot faster, thanks to Egor Bogatov (@EgorBo) for sharing. and wait until initial project skeleton creation process ends. 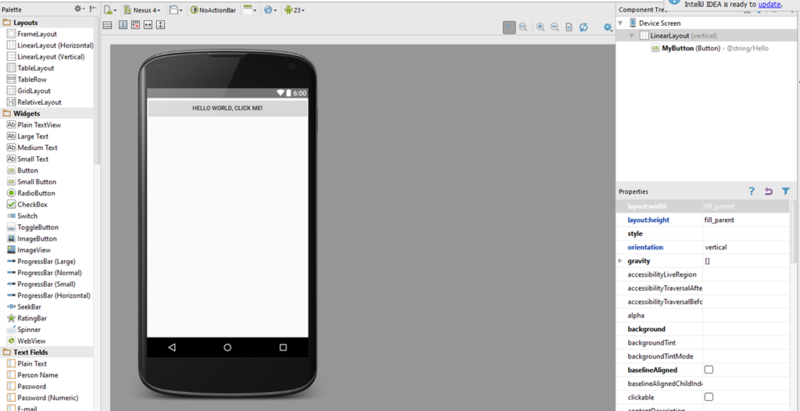 On the left you’ll see the project structure, under app node expand the Resources folder and you’ll see the familiar Android folder structure together with your renamed main.xml file. Double click it to open the designer. I won’t go into design detail since there are lots of demo tutorials on JetBrains’s site, just want you to see some of the plus of IDEA and why it is more productive than Visual Studio’s integrated editor/designer. 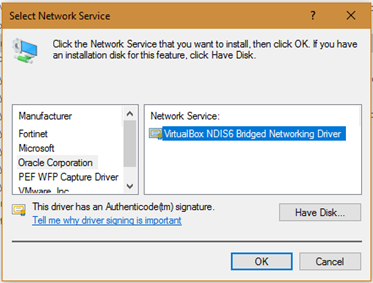 -Select and delete the autogenerated button from design surface. -Let’s change root LinearLayout to a RelativeLayout using the Component tree window in the upper right corner. -Let use xml editor to add left and right margins: Switch to text, select the EditText and start typing: ma, YES! 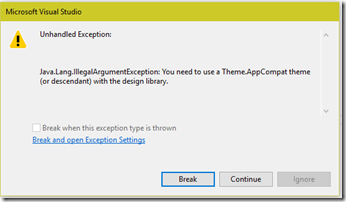 full intellisense to the rescue! 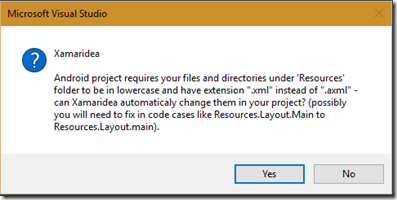 Save the project and switch back to Visual Studio, your main.xml file is automatically updated, but unfortunately the new files that have been added to the project, like styles.xml in our demo, must be added manually to the project. 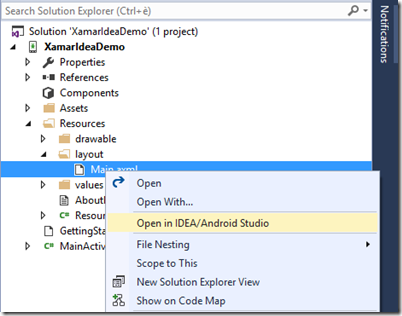 Add styles.xml under values folder, compile and continue developing your app using Visual Studio. I’ve just scratched the surface of IDEA design productivity features, I encourage you to give it a try, I’m sure you’ll love it. 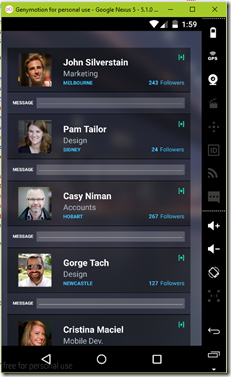 PS: Did I tell you that IDEA renders AppCompat’s widgets instead of a boring dark gray box?